What these terms cover. These terms and conditions govern the supply of products to you by James French Trust Technique Limited trading as “The Trust Technique Centre”. If you think that there is a mistake in these terms, please contact us to discuss. 2.1 Who we are. 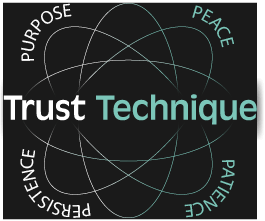 We are James French Trust Technique Limited with company number 05613806, trading as “The Trust Technique Centre”. The Company is registered in England and Wales have their registered office at 8 Combe View Cottages, Woodside Road, Chiddingfold, Surrey, England, GU8 4RB. 2.2 How to contact us. You can contact us by telephone on +44 1428 685 944; by email at [email protected] or by writing to us at our registered office address. 2.3 Who you are. For the purposes of these terms and conditions you will either be a Consumer Customer or a Trade Customer. 2.3.1 Consumer Customer. You will be a Consumer Customer if you are an individual who is acting for purposes which are wholly or mainly outside of your trade, business, craft or profession. 2.3.2 Trade Customer. You will be a Trade Customer if you are buying goods or services from us in the course of your trade, business, craft or profession. 2.4 How we may contact you. If we have to contact you we will do so by telephone or by writing to you at the email address or postal address you have provided to us in your order. 3.1 How we will accept your order. We will accept your order by emailing you an order acceptance confirmation email to the email address you have provided us with. A contract will come into existence between you and us only once we have sent this confirmation email and we have received payment in full from you for the products. 4.1 Definition of products. These terms refer to the goods, digital content and services which we provide (together “products”). 4.2 Definition of goods. In these terms any reference to “goods” includes, but is not limited to, CDs (such as the Animal Communication Training Level 1 (ACT 1) CDs) which customers purchase as part of certain courses and/or qualification provided by us. 4.3 Definition of digital content. In these terms any reference to “digital content” includes, but is not limited to, certain information on our website including, but not limited to, The Trust Technique Video Course and the Crossfields Institute Level 3 Diploma in Mindfulness for people with their animals: Trust Technique Practitioner, online course, and social media pages. 4.4.3 the website listing services that we provide to certain practitioners. For example, to qualified Animal Communication Training Practitioners (ACT 2) and Trust Technique Practitioners. If you wish to make a change to the product you have ordered please contact us and we will let you know if the change is possible. 6.1 Delivery costs for goods. The costs of delivery will be as displayed to you on our website. 6.2.1 If the products are goods. If the products are goods we will deliver them to you within 30 days after the day on which we accept your order. 6.2.2 If the products are services. If we are providing services on a set date or at a set time, for example a course or consultation, we will carry out the services on that date or at that time. 6.2.3 If the product is digital content. We will make the digital content available for download by you as soon as we have accepted your order. In relation to some of our online courses and/or qualification, for example the Crossfields Institute Level 3 Diploma in Mindfulness for people with their animals: Trust Technique Practitioner; you will only have access to some digital content when we accept your order. You may be required to complete certain learning objectives to gain access to additional digital content. For example, Module 3 online tutorials in relation to this qualification cannot be accessed until you have completed Modules 1 and 2. 6.2.4 If the products are an ongoing subscription to receive services or digital content. We will supply the services or digital content to you until either the services are completed, the subscription expires, you end the contract as described in clause 9 or we end the contract as described in clause 11. 6.3 We are not responsible for delays outside our control. If our supply of the products is delayed by an event outside our control then we will contact you as soon as possible to let you know and we will take steps to minimise the effect of the delay. Provided we do this we will not be liable for delays caused by the event. However, if you are a Consumer James French Trust Technique Limited Company No: 05613806 Trading as: The Trust Technique Centre Registered office address: 8 Combe View Cottages, Woodside Road, Chiddingfold Surrey GU8 4RB Tel: +44 (0) 1428 685944 E-mail: [email protected] Website: trust-technique.com Customer and there is a risk of substantial delay, you may contact us to end the contract and receive a refund for any products you have paid for but not received. 6.4 When you become responsible for the goods. Goods will be your responsibility from the time we deliver the product to the address you gave us. 6.5 When you own goods. You own the goods once we have received payment in full. 6.6 If we are providing services on your premises. If we are carrying out services for you on your premises we must agree a mutually acceptable date and time for us to have access to your premises to carry out the services agreed. 6.7.3 ensuring that your premises and the surrounding area are safe and suitable for us to carry our work. 6.8.4 we have deterimined that our health and safety cannot be guaranteed. 6.9.3 make changes to the product as requested by you or notified by us to you (see clause 5). 7.1 Your obligations if we are providing services to you. 7.1.1 Inappropriate behaviour. We operate a zero tolerance policy in relation to inappropriate behaviour and, in particular, abusive or violent behaviour directed at us, our staff or any other person or animal on the premises. 7.1.2 Health & Safety. You must comply with all health and safety rules and regulations and any other reasonable security requirements that apply at the premises or that have been notified to you by us or a member of our staff. Use of the premises. If the services are being provided to you on our premises you must only use the premises for the purposes of participating in the services. 7.1.3 Animals in your care. If we are providing services to you with an animal that is in your care present, you acknowledge the behaviour and actions of that animal are entirely your responsibility, regardless of whether you are the legal owner of the animal or not. You agree to make all reasonable endeavours to ensure that the animal in your care will not pose a danger or threat to any other person or animal during the provision of the services. 7.1.4.2 if the services are being provided at our premises, ask you to leave the premises immediately. 7.2 Your obligations if we are providing digital content to you. 7.2.2.1.2 you have registered with us and paid your annual subscription to be on our online listings page as an Animal Communication Practitioner or a Trust Technique Practitioner. 7.2.2.4 any other activity unconnected to the provision of the services. 7.2.3 Login Details. You agree to keep your user ID and password confidential. 7.3.1.4 redistribute the information or materials in any way. 7.3.2 Using our name in the course of business. Subject to clause 7.3.3 below, you shall not, at any time during or after the provision of the products, use our name, trading name, logo, slogan or any course name, or present yourself as connected with us in any capacity, if you are acting in the course of business. For the sake of clarity, you will be acting in the course of business if you are being paid (whether in monetary value or other) to provide goods, services or other products. 7.3.3.2 to any person, company or other body who is listed as an Animal Communication Practitioner (ACT 2) or a Trust Technique Practitioner on our website: trust-technique.com. 7.3.4 Other Restrictions: you agree to comply with any other restrictions on (amongst other things) the use of our name, trading name, logo, slogan or any course name, or any course materials or techniques which you sign or which are otherwise notified to you in connection with any course and/or qualification we provide. 8.1 This clause 8 relates to the Animal Communication Training Level 1 (ACT 1) CD, The Trust Technique Video Course, I Have a Dream Workshop, the Trust Technique Clinic and the Crossfields Institute Level 3 Diploma in Mindfulness for people with their animals – Trust Technique Practitioner Qualification, on-line course (collectively the “ Courses”). 8.2 For the purposes of this clause 8, “ Techniques” means the methods and techniques of communicating with, and healing, animals and coaching and instructing others which are taught, described or explained on or in connection with the Courses. 8.3.2 shall not deliver consultations, courses or training on or relating to ACT1, in any way, for payment, payment in kind or otherwise. 8.3.6 shall not deliver workshops, courses or training on or relating to the Courses or the Techniques, and shall not use the “Trust Technique” name or suggest any connection with us in any way, for payment, payment in kind or otherwise. 8.4.9 shall not deliver workshops, courses or training on or relating to the Course and/ or Techniques, to groups in return for payment. 8.4.11 must adhere to the “Learner Insurance Policy”, a copy of which can be found on our website (trust-technique.com) or is available on request. 8.5.2 may give free talks or presentations to groups of people on or relating to the Techniques, provided that neither the Practitioner nor any third party (such as a venue) charges for attending the talk or presentation. 9.1 Who will provide the products? The products will be provided by anyone who, in our sole discretion, we deem fit to provide the services. 9.2 Access to our digital content. We reserve the right to restrict access to our digital content including any parts of our website as we see fit. 9.3 We own any information or material which you upload to our website or social media sites. 9.4 Login Details. We reserve the right to change or disable your username and password at any time that we see fit. 10.1 This clause 10 applies only if you are a Consumer Customer. 10.3 Exercising your right to change your mind. 10.3.1.1 Have you bought goods? If so, you have 14 days after the day you (or someone you nominate) receives the goods to change your mind and receive a refund. 10.3.1.2 Have you bought digital content for download or streaming? If so, you have 14 days after the day we email you to confirm we accept your order, or, if earlier, until you start downloading or streaming. 10.3.1.3 Have you bought services? If so, you have 14 days after the day we confirm to you that we accepted your order to change your mind and receive a refund. If you cancel our provision of the services after we have started the services, you must pay us for the services provided up until the time you tell us that you have changed your mind. 10.3.2.4 you unseal any sealed audio or sealed video recordings, such as CDs, once you have received them. 11.1.2 By post. Write to us at our registered office address. 11.1.3 Cancellation Form. Fill out the cancellation form (which can be found in the schedule at the end of these terms and conditions) and return it to us by post or email to the address above. 11.2 Returning goods after ending the contract. If you end the contract for any reason after goods have been dispatched to you or you have received them, you must return them to us. You must pay the full cost of postage to return them to us. If you are a Consumer Customer and you are exercising your right to change your mind you must send off the goods within 14 days of telling us you wish to end the contract. 11.3.2 you are ending the contract because we have told you of an upcoming change to the product or these terms; an error in pricing or description; a delay in delivery due to events outside our control or because you have a legal right to do so as a result of something we have done wrong. In all other circumstances (including where you are exercising your right to change your mind) you must pay the costs of return. 11.5.2 The maximum refund for delivery costs will be the costs of delivery by the least expensive delivery method we offer. 11.5.3 Where we have provided a service, we may deduct from any refund an amount for the supply of the service for the period for which it was supplied, ending with the time when you told us you had changed your mind. The amount will be in proportion to what has been supplied, in comparison with the full coverage of the contract. 11.6.1 If the products are goods and we have not offered to collect them, your refund will be made within 14 days from the day on which we receive the product back from you or, if earlier, the day on which you provide us with evidence that you have sent the product back to us. 12.1.5 you do not, within a reasonable time, allow us access to your premises to supply the services. 12.2 You must compensate us if you breach the contract. If we end the contract in the situations set out in clause 11.1 we will refund any money you have paid in advance for products we have not provided but we may deduct or charge you reasonable compensation for the net costs we will incur as a result of your breaching the contract. 12.3 We may withdraw the product. If you are a Consumer Customer we may write to you to let you know that we are going to stop providing the product. We will let you know at least 14 days in advance if we are stopping the supply of the product and will refund any sums you have paid in advance for products which will not be provided. 12.4 If you are a Trade Customer we may withdraw any product up to one working day in advance of us stopping the supply. 13.1 How to tell us about problems. If you have any questions or complaints about the product please refer to our “Complaints and Appeal Policy and Procedure”. A copy of this can be found in our Learner Handbook, on our website (trust-technique.com), or is available on request. Alternatively, you can telephone us on +44 1428 685 944 or write to us at our registered office address. 13.2 Your obligation to return rejected goods. If you wish to exercise your legal rights to reject goods you must post them back to us. 14.1 Where to find the price for the product. The price of the product will be the price indicated on the website page when you placed your order. 14.2 VAT. We reserve the right to charge VAT on any product at our entire discretion. If we charge VAT on a product you are purchasing you will be notified of this when you place your order. 14.3 When you must pay and how you must pay. We accept payment via PayPal, by credit or debit card and BACs. All products must be paid for at the point of order. 14.3.1 Goods will only be despatched to you once payment has cleared. 14.3.3 For services, we reserve the right to suspend the provision of services to you and refuse to entry to any course and/or qualification or consultation if we have not received payment from you in full at least five working days prior to the start date of the services we are intending to provide. 14.4 To purchase some of our products we require payment of a deposit. If a deposit is required for the product you are purchasing this will be indicated on the website page when you place your order. 14.5 You cannot purchase some of our products unless you have already purchased others. For example, you are only able to attend The Trust Technique Clinic or enrol on our; The Crossfields Institute Level 3 Diploma in Mindfulness for people with their animals – Trust Technique Practitioner Qualification, if you have first purchased and have successfully completed The Trust Technique Video Course. If you are required to purchase a certain product prior to purchasing another this will be indicated to you on the website page when you attempt to place your order. 14.6 Some products are payable by instalments. If this is applicable, it will be indicated to you on the website page when you place your order. 14.7 Variations to price and discounts. The prices of our products may vary and we reserve the right to apply discounts to any product, at any time, at our entire discretion. 14.8 Receipts. For all online payments made via PayPal and Credit Card, an automatic receipt will be generated. For all other payment methods a receipt will be made available on request. 15.1 We make no representation, guarantee or commitment to you that our digital content, information provided during the provision of services, or information contained in any goods will be error free. 15.2 We do not make any commitment that the goods or digital content we provide to you will be compatible with or operate with your software or hardware. 15.3 All representations, warranties and/or terms and/or commitments not expressly set out in the terms (whether implied by law, conduct, and statute or otherwise) are hereby excluded to the maximum extent permissible by law. 15.5 If you have been granted entry to the Balens Insurance block you acknowledge that the terms of service in this regard are governed by Balens and we have no responsibility or liability in regard to such. 15.6 We are not qualified to teach veterinary practices and the products we provide should not be used, interpreted or considered as a substitution for veterinary services. 15.7 You acknowledge and accept that we cannot be held responsible for any technical problems you encounter following the purchase of any digital content. 16.1 We are responsible to you for foreseeable loss and damage caused by us. If we fail to comply with these terms, we are responsible for loss or damage you suffer that is a foreseeable result of our breaching this contract or our failing to use reasonable care and skill. 16.2 We do not exclude or limit in any way our liability to you where it would be unlawful to do so. This includes liability for death or personal injury caused by our negligence or the negligence of our employees, agents or subcontractors; for fraud or fraudulent misrepresentation; for breach of your legal rights in relation to the products; and, if you are a Consumer Customer, for defective products under the Consumer Protection Act 1987. 16.3 Our total liability to you in respect of all other losses arising under or in connection with the products we have provided shall in no circumstances exceed £4,000,000. 16.5 If defective digital content which we have supplied damages a device or digital content belonging to you and this is caused by our failure to use reasonable care and skill we will either repair the damage or pay you compensation. However, we will not be liable for damage which you could have avoided by following our advice to apply an update offered to you free of charge or for damage which was caused by you failing to correctly follow installation instructions or to have in place the minimum system requirements advised by us. 16.6 We are not liable for losses in respect of personal possessions or animals in your care. Your personal possessions and the animal(s) in your care are your sole responsibility during the provision of any services. We accept no responsibility and/or liability for any loss, damage or harm to any of your personal possessions or animal(s). 16.7 We are not liable for business losses if you are a Consumer Customer. If you are a Consumer Customer we only supply the products for domestic and private use. If you use the products for any commercial, business or re-sale purpose we will have no liability to you for any loss of profit, loss of business, business interruption, or loss of business opportunity. 16.8.2 indirect or consequential loss arising under or in connection with the products we have provided to you. 16.9 You are liable for the actions of any animal in your care. We accept no responsibility or liability for the actions of any animal in your care, regardless of whether you are the legal owner of such animal or not. It is your sole responsibility to ensure that the animal is safe to be around and you are entirely responsible and liable for the actions of that animal. 17.1.3 to give you information about other products that we provide, but you may stop receiving this at any time by contacting us. 17.2.5 in order for us to provide the products. 18.2 We may transfer this agreement to someone else. We may transfer our rights and obligations under these terms to another organisation. 18.3 You need our consent to transfer your rights to someone else. You may only transfer your rights or your obligations under these terms to another person if we agree to this in writing. 18.4 Nobody else has any rights under this contract (except someone you pass your guarantee on to). This contract is between you and us. No other person shall have any rights to enforce any of its terms. 18.5 These terms and conditions constitute the entire agreement between you and us. These terms and conditions supersede and replace any other terms and conditions previously published by us and any other understanding, undertaking, representation, warranty arrangement or statement of any nature whatsoever made by us to you. 18.7 Even if we delay in enforcing this contract, we can still enforce it later. If we do not insist immediately that you do anything you are required to do under these terms, or if we delay in taking steps against you in respect of your breaking this contract, that will not mean that you do not have to do those things and it will not prevent us taking steps against you at a later date. For example, if you miss a payment and we do not chase you but we continue to provide the products, we can still require you to make the payment at a later date. 18.8 Which laws apply to this contract and where you may bring legal proceedings. These terms are governed by English law and you can bring legal proceedings in respect of the products in the English courts. If you live in Scotland you can bring legal proceedings in respect of the products in either the Scottish or the English courts. If you live in Northern Ireland you can bring legal proceedings in respect of the products in either the Northern Irish or the English courts. ADDRESS]. Alternatively, you may request a cancellation by using this form.